Designing a big passenger jet is easy. You get the best wings and engines, bolt them on to a tube with seats and add a few frills round the edges. If you’ve really got the best wings and engines then you’re on to a winner. In the 1970s the UK Royal Aircraft Establishment ran a major design initiative called the low-speed wing project, an attempt to reconcile the need for an airliner to have a clean and efficient high-speed wing for cruise at altitude while being able to slow right down for landing. If a wing works at slow speeds then it’s a fuel-gobbler during cruise. If it gives you a fuel-efficient transonic cruise then you’ll need heavy-duty tyres and long runways for the rather important bits of the flight known as take-off and landing. The two needs are incompatible unless you’ve got clever engineers and lots and lots of very expensive wind tunnel time. The UK put in the resources and manpower, and solved the problem. Watch the wings the next time you fly in an Airbus aircraft. See how during take-off they are extended, slots and slats and flaps making them bigger than seems possible to a non-engineer. Then during the climb they withdraw into themselves, becoming neat and clean and efficient. Airbus needed to take on the Americans, and even their European engineers realised that to beat Boeing they had no choice but to buy British, despite the great rivalry between our designers and the French since the beginning of manned flight. For decades the Boeing aircraft family had wings that were dull slabs of duralumin, flaps and slats, bish bash bosh, while the elegant poetry-in-metal artistry of British designed and built engineering gave European industry the edge to compete. Fly any of the older Boeing designs – neolithic engineering. Now fly in a modern Boeing and watch those elegant wings. Things have changed, but it took them twenty years to catch up, and in the meantime Airbus, lofted by British engineering, grew to be the second largest aerospace company on the planet, outshone only by the mighty Boeing. There are only four things certain, get Aerodynamics right. And an interfering bureaucrat is your greatest foe by far. 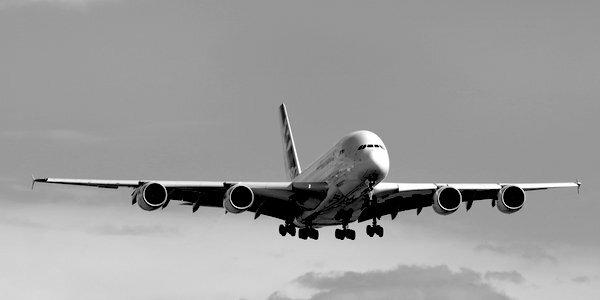 Airbus has done well, but if it yields to the demands of the Brussels elite – as it has in its latest pronouncements about Brexit – it will become more and more divorced from the Copybook Headings. It will build political aircraft, it will demand greater and greater subsidies, its executives will get their snouts into the trough.